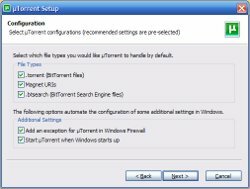 This tutorial explains how to properly install and configure uTorrent. 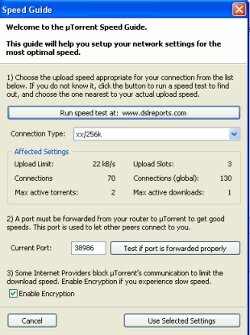 It walks you through three steps from installing and setting up uTorrent to properly configuring your router to allow for optimal results. Please see the tutorial on Port Forwarding.